Tiina is one of the best known heroines in Estonian literature. Traditionally she has been treated as a rebellious antagonist to dominating servility. Tiina’s mother is captured from their distant woodland cottage one winter, accused of being a witch, and punished by being beaten to death in the pillory in front of the church. Her child Tiina is raised by a foster family in the village. When she grows up, she falls in love with her stepbrother Margus; the attraction is mutual. The family, however, prefers their other stepdaughter, Mari for their son’s bride. In a dash of jealousy, Mari accuses Tiina of practicing witchcraft and of being a werewolf. The scene takes place at the Midsummer Eve festivities in the presence of the whole village community. 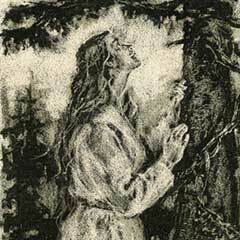 Desperate, Tiina flees into the forest and on a dark winter night Margus shoots her for a wolf. For the village community, Tiina evokes suspicion because of her origin and past, but very much also for her independence and courage to express ideas that are different from the traditional and common ones. The urge to expel ’different ones’ continues to create problems in the Estonian society, as in small communities in general. Tiina is the embodiment of a fearless and free mind who welds into nature and is not afraid of the woods. Her emblem animal could perhaps be the wolf, rather than werewolf, as wolf is an important and much respected animal in Estonian traditional folk culture. The tradition attibutes wolves courage, wisdom and endurance. On the other hand, wolves have been outlaws throughout the 19th century. Tiina takes the position of an outlaw as a descendant of free peasants for whom it is against the nature to serve as a serf owned by a local manor estate. Tiina has also been regarded as a representative of Dionysian culture in a predominantly Apollonian environment. As a woman she is wild, unsubmissive, independent and reasoning individual who differs from all the rest. Her story is a story of strong love that clashes against superstition, jealousy and submissiveness in a community of serfdom. is an Estonian playwright and memoirist whose work is closely connected with his roots and birthplace, the conditions and tradition of Mulgimaa. He was brought up in the family of his older brother who was a teacher at a village school. He worked as a parish clerk at several places in South Estonia, as an office worker in Riga (the capital of the former Province of Livonia), as a reporter and as a bank clerk in Tartu. His literary career began with translations from the German language and with writing feuilletons, stories depicting rural life, and plays. 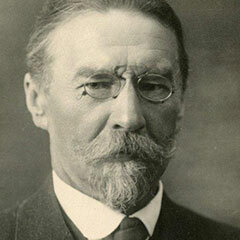 His memoirs titled An Old Windhover’s Memories of Youth, seen through the eyes of a fin de siècle gent, are humorous recollections of the harbingers of modernisation in the provinces of Estonia and Livonia.The major contribution of Kitzberg to the Estonian literary history are his plays. Together with Eduard Vilde they raised the Estonian original drama to a high artistic level. 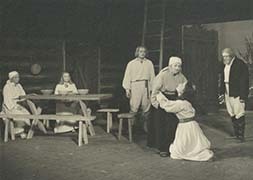 His play Caught in the Whirlwind was performed at the opening of the first professional theatre in Estonia – Vanemuine in Tartu (1906). 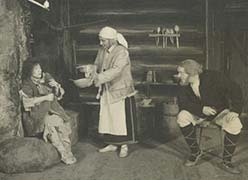 The play Werewolf, featuring Tiina as its main character, is based on local lore and first published as a „village tale“ and it has become one of the best known and loved Estonian plays. It has been translated into several languages and staged outside Estonia in our neighbouring countries, but also in places as distant as Italy and Argentina. 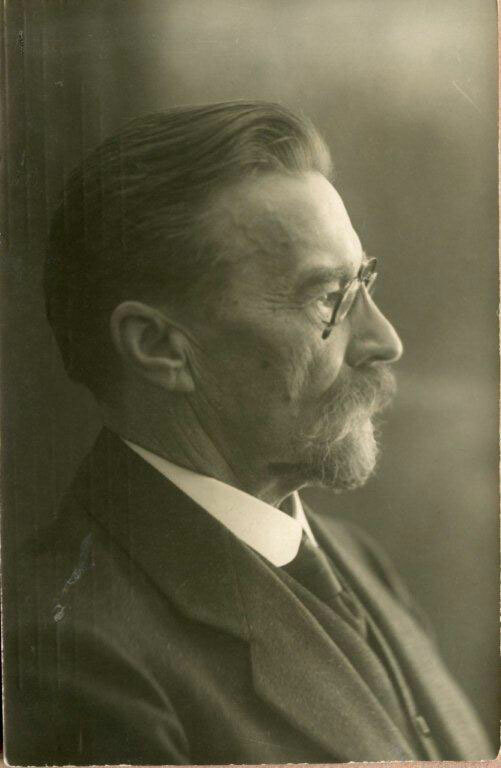 Kitzberg was one of the few older generation writers who joined the Noor-Eesti (Young Estonia) movement in the beginning of the 20th century. In 1920 he was granted a state writer’s pension that enabled him to give up his office work for the last years of his life. A modest home museum is devoted to the memory of August Kitzberg in his native parish of Karksi. Streets and schools have been named after him, and his monument has been erected in Karksi-Nuia. Kitzberg’s manuscripts are kept in the Cultural History Archives of the Estonian Literary Museum. The manuscripts containing local folklore collected by August and his brother from their native region are preserved in Estonian Folklore Archives. 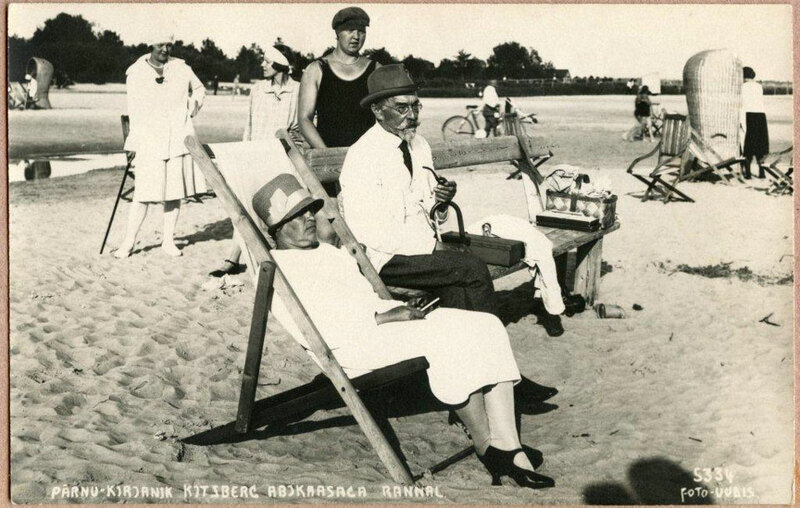 As a playwright August Kitzberg was actively present in the process of founding the Estonian professional theatre at the beginning of the 20th century. The drama Werewolf was staged in 1911 as the opening piece of the third Estonian professional theatre, Endla in Pärnu. 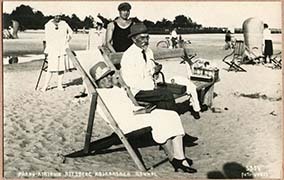 At that time the issues of national freedom and the right of self-determination were especially important to Estonians with no established statehood, so the public was deeply interested in literature and drama that dealt with these questions. The Werewolf also deals with the problems of identity, roots and folk tradition, creating and shaping thus the Estonians’ national self-image. 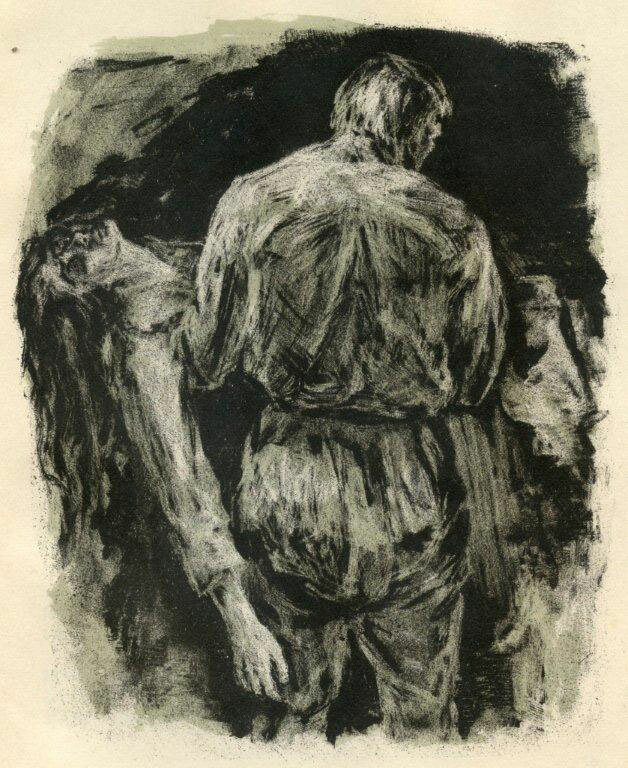 The background of the Werewolf is formed of the traditional folk stories about werewolves, people’s memories of witch-hunts and serfdom. August Kitzberg and his brother Jaan collected folk tradition in Mulgimaa and sent their materials to Dr. Jakob Hurt in 1889. Thanks to these and many other collectors’ work Jakob Hurt initiated the Estonian Folklore Archives that is one of the largest folklore collections in the world. Werewolves, witches, supernatural beings formed an essential part of the settled and utterly traditional rural people’s world view, and still played a role in their lives when Werewolf was first staged. 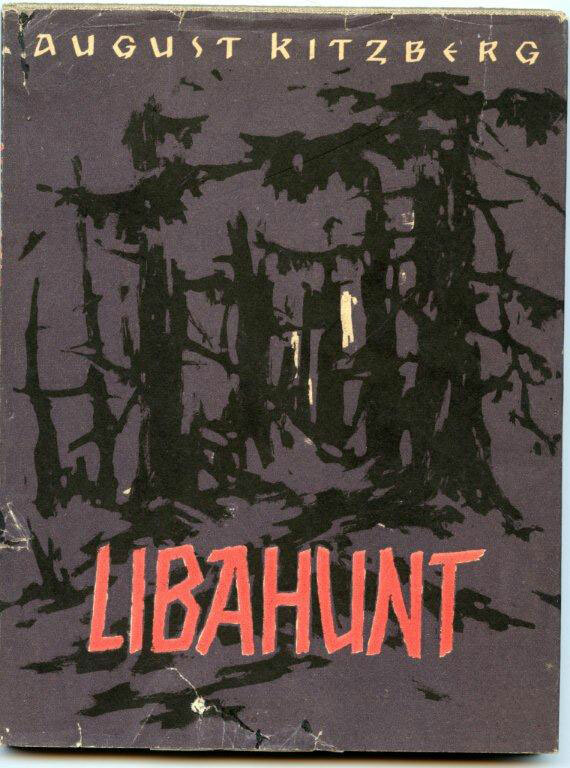 Also the film Werewolf (1968, director Leida Laius) has taken a significant position in Estonian culture. Tiina was presented as a symbolic figure in the film that explored the question, whether ’deviations from the norm’ have a right to exist. Tiina’s pursuit of freedom could easily be read between the lines as the Estonians’ hope for freedom from the Soviet occupation. When the play was set on stage in 1980s, the conflict was in some occasions interpteted in favour of Tiina’s foster family: as an ability to conservatively endure times of oppression, and to survive as a community.